Before heading to any big-ticket, big-adventure resort, it’s always best to ask an expert for tips. I asked three BC and Washington State moms who have repeatedly visited Great Wolf Lodge for their best tips, and added a few more tips from my own research. Of course, these are just opinions and suggestions. You may have your own spin on a Great Wolf Lodge stay. 1. Don’t break the bank for Great Wolf Lodge bunks. The bunk-style suite rooms (Wolf Den, KidKamp and Kid Cabin) are cute and fun, “but we have found that you are not in your room long enough to make them worth the cost if you can fit in a smaller room,” says frequent Great Wolf Lodge visitor and Kelso, Wash., mom Melissa Parcel. Check Great Wolf Lodge’s website with special deals and coupon codes when booking; remember that the resort fee and taxes do add a decent amount to the final price. 2. Sleep soundly — even at a crazy-busy water park. 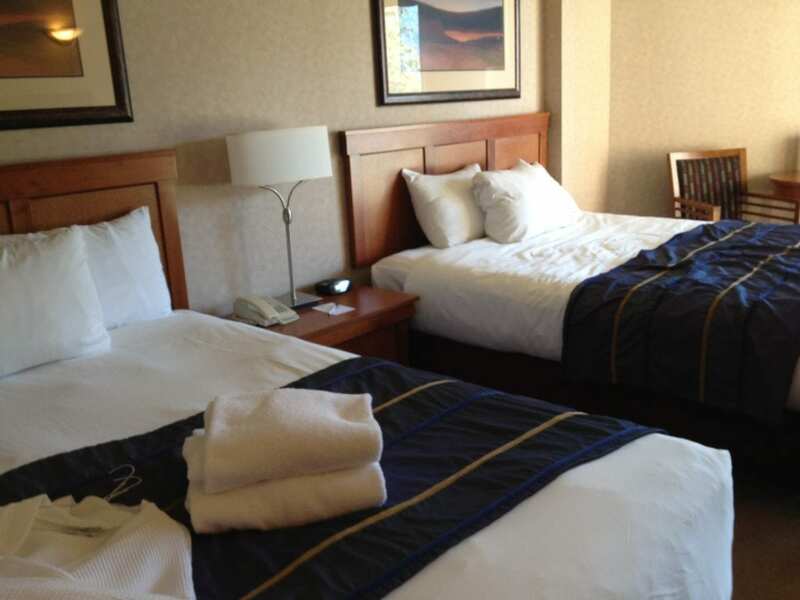 For a quieter room, request a room away from the stairwells and on the opposite side of the I-5 freeway. Ask when making the reservation and upon check in. Although there’s a rule about “quiet time” in the evenings, guests do say that unaccompanied children playing MagiQuest down the hallways can be an earful. 3. Book your Great Wolf Lodge breakfast in advance. If you think you want the on-site breakfast buffet — after considering point #9 below — book it in advance when making your hotel reservation. The total for four people is $40 when purchased in advance and includes drinks. If you buy buffet on-site, it’ll cost $13.95 per adult and $8.95 per child, and does not include drinks. 4. Make it a midweek resort stay. To avoid crazy lines at these Washington water slides and to take advantage of great deals, head to GWL during the midweek. But ask if the hotel’s hosting a convention during your stay, suggests Korene Torney, a Victoria, British Columbia mom to two girls. Conventions can stretch the hotel’s capacity. 5. Display your cell phone smarts. 6. Dive into two-day resort stay play. Your pass into the GWL starts at 1 p.m. (you can access your hotel room after 4 p.m.), as long as you stop by the front desk to pick up your waterpark wrist bands. On the second day, check-out time is 11 a.m., and you can stay until closing (9 p.m.). There are changing rooms and lockers for use before check-in and after check-out. “We just put our suitcases in the car, and had a small day pack with our necessities in it. That worked out great,” says Longcore. 7. Wait on the MagiQuest wand. The grand total for your MagiQuest game will come to about $30 total — $17 for the wand, and about $13 per “game.” If it’s your first visit, Melissa Parcel says you may want to wait to purchase the wands. “On our first trip, we caved and bought one for our son, but we spent all of our time in the water park and didn’t get any use out of the wand.” Older kids seem to love the wand game, however, and repeat visitors seem to love the game. Read more about how to extend play at #8, below. 8. Wave that MagiQuest wand. If you leave near Great Wolf Lodge, you can visit just to play the MagiQuest game and run around the resort, which is something that Melissa Parcel has done twice. “It’s a pretty inexpensive day trip if you live a short distance away.” If you want to re-engage the wand, you’ll pay about $13 per wand on each new visit. You can also use the wands at other properties (provided you pay the “re-up” fee). 9. Host grandma or friends while staying at the resort. Purchase additional water park wristbands (for $41.20 each) for people visiting you at the water park, even if they’re not staying overnight. 10. Skip the expensive Great Wolf Lodge resort food. Korene Torney brought her own breakfast and snacks (cereal, yoghurt, fruit and vegetables) for the mini-fridge. Melissa Parcel brought along cereal and doughnuts for breakfast and sandwich making items for the next day’s lunch. Don’t forget to bring camping-style dining equipment (i.e. 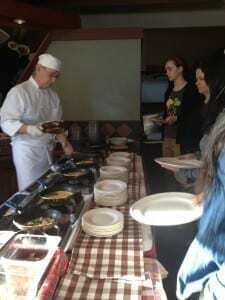 paper or tin plates, cups, bowls) for your in-room service. Korene Torney’s family also went to two Oregon-born restaurant chains in nearby Centralia: McMenamins Olympic Club and Burgerville (two thumbs up for both of those destinations from Lora!). 11. Freeze Great Wolf Lodge-related tantrums and meltdowns. “I think limiting pool play to three hours at a time works well,” Korene Torney says. After three hours, Torney’s family lets the kids eat and relax in the room. It can also help to construct a schedule. Torney’s family wakes, eats in the room (with Starbucks from the lobby, delivered by her husband), goes on the morning “Howl Walk” at 9 a.m. (which includes a free craft), then pool time from 10-1. They rest, and eat in the room or drive to Burgerville. Then it’s back into the pool around 5-7 p.m.; out in time for evening stories. 12. Water, water everywhere…but bring a drop to drink. “The pool room is very warm, so just remember to drink some fresh water while there,” says Longcore. She says she saw some episodes of possible kid-dehydration; despite all that chlorinated water around, some children forget to sip drinking water. 13. Forget-it-not at home: must-bring items for Great Wolf Lodge. Some items are spendy to replace on-site, should you forget them at home. Pack swim goggles, earplugs, flip-flops, Aqua Socks (if your bare feet don’t like all that concrete) and a swimsuit cover-up. Swimsuit cover-ups are particularly necessary, Torney says: “You want one because otherwise you’re forced to wear clothes over your suit to get between room and pool.” Men should bring t-shirts or a robe. However, you don’t need to pack a towel – they’re provided for free by Great Wolf Lodge. Life jackets in several sizes, notes Longcore, so there’s no need to bring one from home. You can also bring arm floaties and floating swimsuits, but no other floating devices. Leave the ravenous floaty shark at home. 14. Get crafty with Cub Club. Bring your own hands-on activities and avoid expensive resort crafts ($10-20) in the Cub Club, Torney says. However, if you do plan to participate in Cub Club (which offers kids’ programs, crafts and projects about nature and the Northwest), make a reservation upon arrival to ensure your child’s spot. Adults must accompany kids under age 12 in the Cub Club; it’s not a childcare venue. 15. Stop the souvenir gimmes. 16. Snag your Great Wolf Lodge poolside spot. 17. Entertain the teens at Great Wolf. At gr8_space (Yes, that’s really the way it’s spelled), teens can use the Internet, listen to music, enjoy evening karaoke or play the Nintendo Wii and Xbox360. Admission runs $10 per child; you may want to bring the DS from home if that seems spendy. Most tweens and teens will be happy with just the water park slides, but you can visit the Myspace page of gr8 space here for a sample of the goings-on. 18. Avoid long checkout lines. Use the express check-out via your room phone or TV. You can find more answers on the Great Wolf Ask-A-Mom site (but these answers seem to be pre-vetted by a corporate PR firm). Or read a great write-up of a Great Wolf Lodge stay at PDX Family Adventures. Do you have great tips (or a promo or coupon code!) 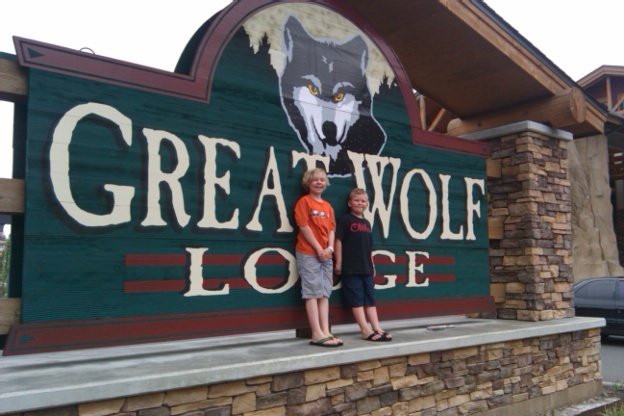 for families headed to the Great Wolf Lodge in Grand Mound, Washington State? Leave your tips in the comments. 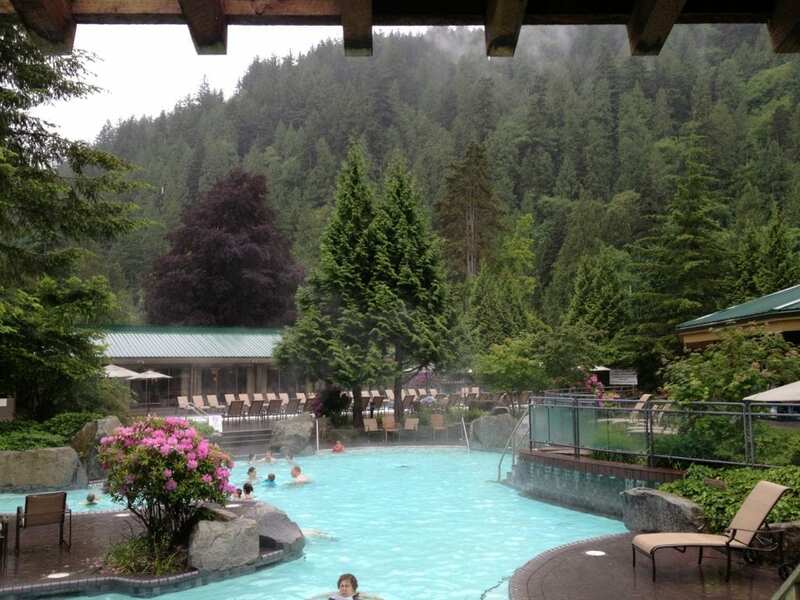 Read more about Washington Water Parks and British Columbia (BC) Water Parks and Water Slides. Nothing says “Cascadia summer” like a line-up of shivering, dripping-wet kids. So I created a list of water parks large and small, indoor and outdoor, westside (cool) and eastside (dry, hot) to keep the kids chilled-out this summer. Do you have a favorite? Great Wolf Lodge, Grand Mound, Washington. Make a splash: This indoor Washington water park resort features toddler-friendly pools and big-kid slides. The five-person circular rafts slips down the River Canyon Run, with drops from six stories high. Make a splash: Ride down the 400-foot Spokane Falls slide at this Eastern Washington water park. Slidewaters: Lake Chelan Waterpark, Lake Chelan, Washington. Make a splash: rip down 8 slides, including the 420-foot “Purple Haze” slide that envelops you in darkness at this Washington State aquatic park, located in Washington State’s inland community. Make a splash: Try any one of the thrilling flumes, including the Python Banzai or Konga Banzai. 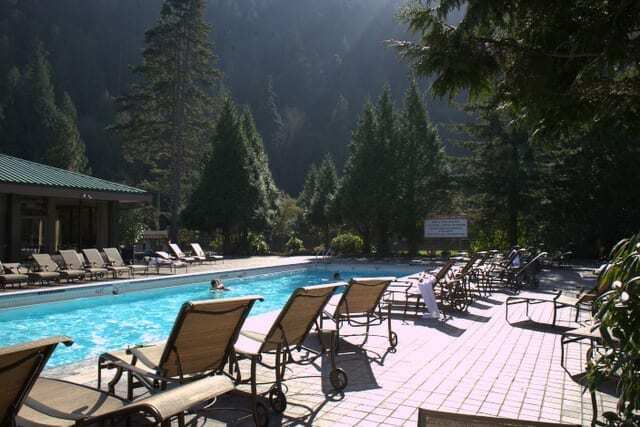 One of the most popular water parks in Western Washington — plan accordingly! 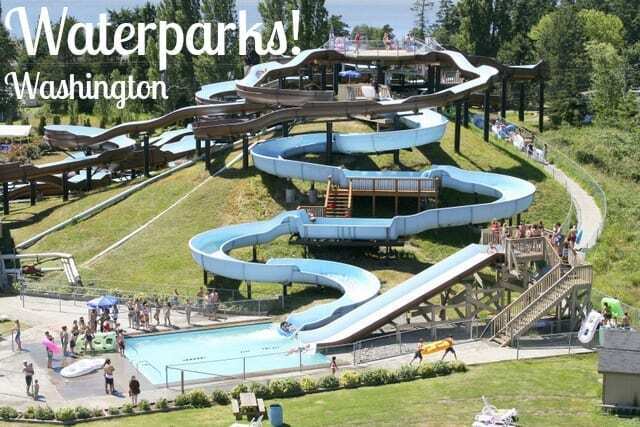 Make a splash: This low-key four-slide park in North Washington (near the U.S.-Canadian border) covers all your bases, from tame to torrential. North Clackamas Aquatic Park, Milwaukie, Oregon. Make a splash: This indoor Oregon municipal park features three water slides, an 85-degree wave pool and free lifejacket rentals. Wings and Waves Waterpark at the Evergreen Aviation & Space Museum, McMinnville, Oregon. Oregon’s newest water park is INSIDE an aviation museum — so you’ll cannonball right next to fighter planes. Go on the Sonic Boom or Nose Dive slides — or just hang out in Splashdown Harbor. Emigrant Lake, near Ashland, Oregon. Make a splash: Not really a water park, but a fantastic, unique way to mix fresh-water fun and a 280-foot twin flume waterslide at a campground facility. Splash! At Lively Park, Springfield, Oregon. 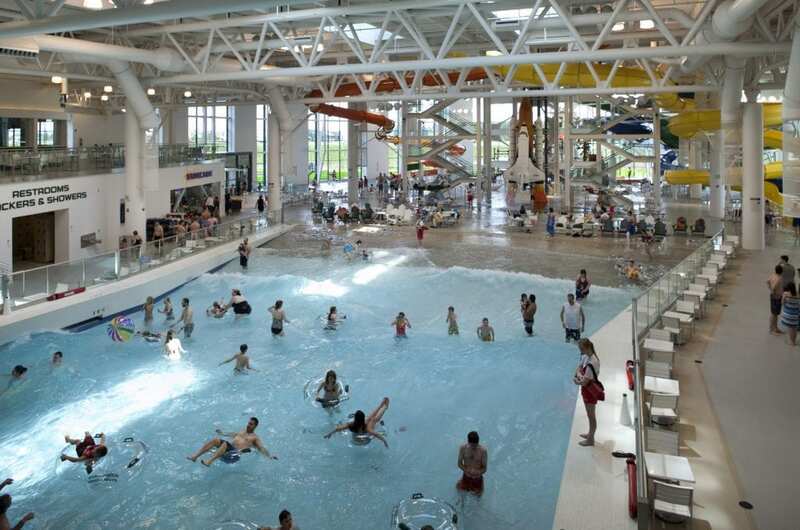 Make a splash: This all-indoor facility offers an indoor wave pool, a 144 foot slide, and year-round water activities. Read more at Pitstops for Kids. Make a splash: At this municipal, downtown water spot, kids can sit on steps while fountains of water cascade down, filling the bowl below. Then, mysteriously, the jets shut off, the water drains out — and the flow start all starts over again. A free, kid-friendly Portland water park! Make a splash: You’ll find over 12 features at the Cultus Lake water park, including a spray “Pirate’s cove,” a “Valley of Fear” and a slide that shoots you at 60 km per hour (about 30 miles per hour). 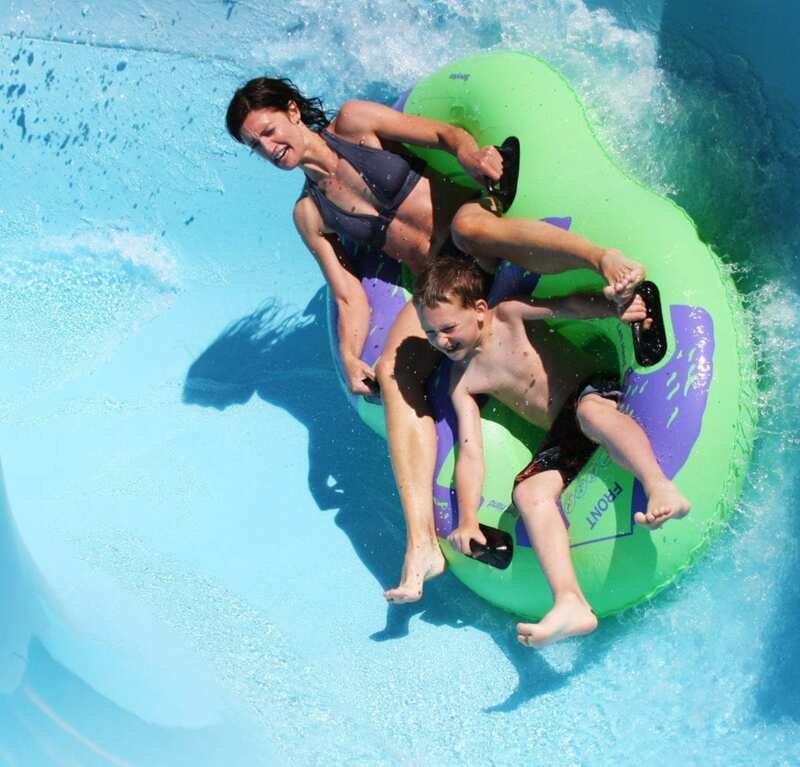 Make a splash: This BC water park offers over eight slides for the whole family, with long, straight shots down super-fast slides – including one that shoots you down a pitch-black tunnel. Make a splash: Gentle rivers, intermediate rides and “advanced” body slides, including the with 425-foot “Oliver Twist” drop at this water park near Vancouver, BC. Make a splash: This BC water park offers 10 looping, swooping slides and flumes, many with views of beautiful Lake Okanagan. Located on the dry side of BC. Make a splash: This free Stanley Park water playground or “sprayground” isn’t fancy — no slides — but it is efficient at cooling off kids. Cannons, sprinklers, and splashable streams galore at Vancouver’s largest outdoor spray park. Located about 90 minutes north of Portland, Oregon and 90 minutes south of Seattle, Great Wolf Lodge (one of 12 in the Great Wolf chain) was created with families in mind, from 4,000-square-foot water pools to evening pajama storytimes. Ryan Ellis of Vancouver, Washington, went with wife Marissa, and children (Sam, age 10, and Ben, age 7) to the waterpark resort in Grand Mound, Washington. Let’s find out what Ryan thought of Great Wolf – and what you should know before you go. Q: What did you like about Great Wolf Lodge with kids? I liked that there was something for every age. Kids had the Cub Paw Pool, older kids liked the MagiQuest (live-action magic-themed treasure hunt) game, teens had their own game room (Northern Lights Arcade) and adults had a couple of bars. But everyone loved the water park and arcade. Q: What did your kids like at Great Wolf? The top three things they liked were the wave pool, the MagiQuest game and the water slides. Q: Which ages would enjoy Great Wolf the most, though? Q: What is the Great Wolf food like? Passable? Pretty darn good? We packed our own food. There is a fridge and microwave in every room and I am a cheap S.O.B. We went to Trader Joes before and bought a bunch of frozen burritos, bananas, carrots, salad and mixed nuts. Oh, and wine. Lots of wine. 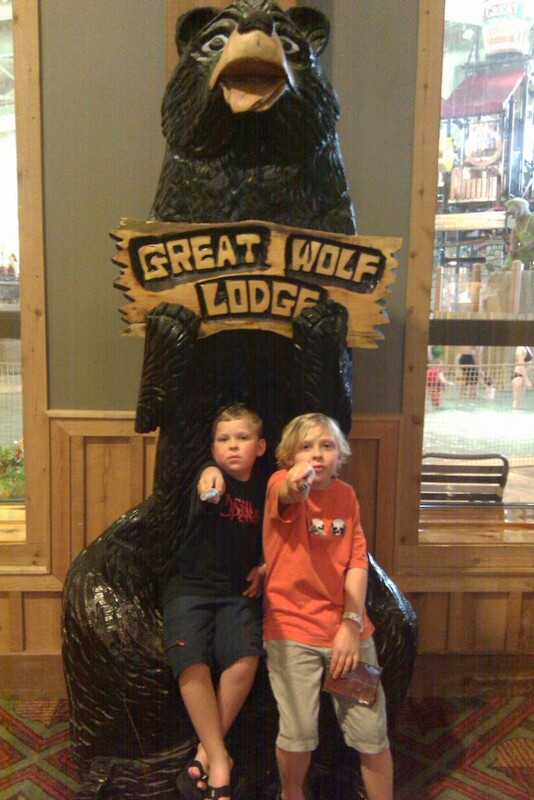 Q: How much per night at Great Wolf Lodge? What’s included in the price? We went from Sunday through Monday, the least expensive of the nights, and it was $190 per night for our Family Suite before taxes, for four people AND it included admission to the water park for all four people. Friday night or Saturday night sets you back much more for the same room. The MagiQuest game is extra, $17 for the wand and $10 to play the game, but the kids loved it. Q: Is there anything a parent should do (or not do) to have a good time at Great Wolf? Bring lots of snacks. Playing in water makes everyone hungry and thirsty, and resort prices are outrageous. It was nearly $7 for a hot dog and about $4 for a soda. Q: Anything during the experience that surprised you at Great Wolf Lodge? That you can’t make it a day trip to the water park. You have to stay at the hotel to get in, and the suites have a base price for four people — same price for family of two as a family of four. Q: Would you go back to Great Wolf with kids? Yes, we are already planning on going back with a friend and her son probably in the winter. The smiles on the faces of the boys defined the fun we had. (This Hallmark moment brought to you by sappy fathers anonymous). As we were packing to go home, the kids were plotting on a way to live there. Thank you so much, Ryan! Have you stayed at Great Wolf? What did you think? Leave a comment below. Read another trip report on Great Wolf Lodge with kids, from the DeliciousBaby.com site. We don’t have any mega-big-deal-amusement parks* here in Cascadia. 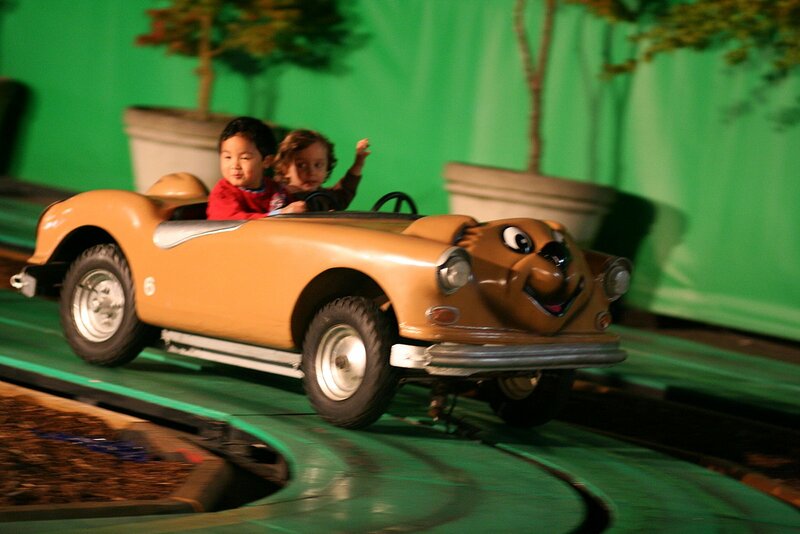 But we do have several options within easy driving distance of major cities, including water parks and kid-friendly rides. The parks are all fairly inexpensive (at least when compared to airfare for four, lodging and ticket prices at mega-big-deal-amusement parks). It’s low-key fun, an easy getaway in pleasant weather. 1. 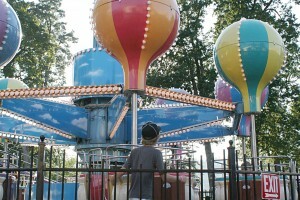 Oaks Amusement Park. Portland, Oregon. 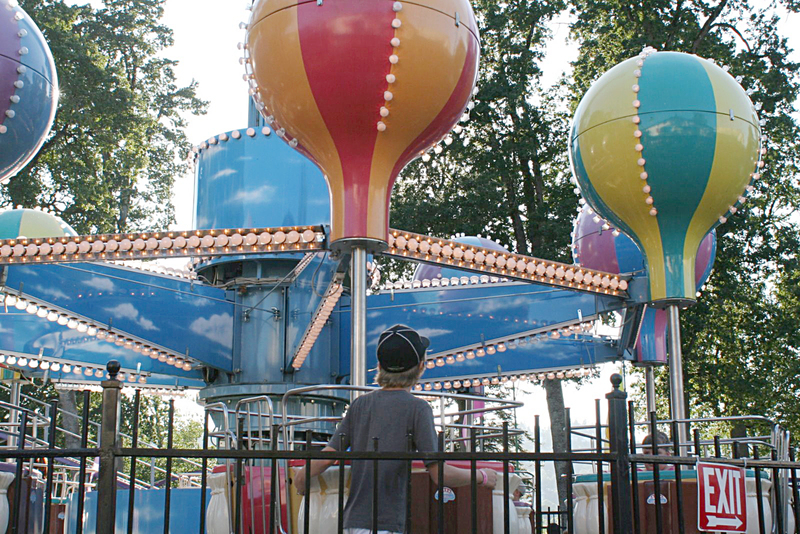 One of the Pacific Northwest’s oldest operating amusement parks, Oaks Park pops with options: a year-round roller rink, big kid thrill rides, gentle toddler rides. I love this quaint amusement park. Free admission, pay per ride. It’s well-shaded and nestled along the banks of a river, so you can take over-excited kids for a chill-out walk before hopping back into the car. A 15-minute drive from downtown Portland in the quaint Sellwood District. 2. Wild Waves: Theme & Water Park. Federal Way, Washington. In the summer, corkscrew-style slides deliver hordes of screaming kids. It’s not all wild, as the gentle wave pool welcomes younger children. Post-swim, visit the the Enchanted Park and drive bumper cars, ride the ferris wheel or discover your scream on a kiddie coaster. Big problem though – the food here is distinctly sub-par, and you can’t bring in your own. Plan for a car picnic. 3. Great Wolf Lodge. Grand Mound, Washington. Located halfway between Portland and Seattle, this indoor waterpark offers raging river slides, family-friendly rooms (with bunk beds), a kids’ spa, and a magical wand that kids can use to play an interactive game throughout the building. Caveat: You can’t enter without staying the night – but a night’s stay allows you to come and go from the water as you please. It’s sort of like an all-inclusive, right here in the Pacific Northwest. 4. Playland at the PNE. Vancouver, BC. Like a county fair in the big city, all summer long. This amusement park is about a 15-20 minute drive from downtown Vancouver, and worth the cost with elementary-age kids or middle schoolers. But even my son (then 2) found plenty of just-ride rides among the selection of over 20 options. Cool big-kid rides: The wooden roller coaster and the “Hellevator.” Bring sunscreen or go during evening hours (like we did); buy the pass for hours of fun. 5. Enchanted Forest Theme Park. Turner, Oregon. If you find yourself driving along Oregon’s I-5 this summer, check out this campy, cheesy and amusing park. Stand in a giant’s mouth, get mildly spooked in the Haunted House, take a stroll through Storybook Lane, Western Town or English Village. It’s the sort of amusement park you’d enjoy if you like old-school Paul Bunyan statues, Roadside America and other oddities still hanging around the Northwest like old moss. I’d go; I’m not sure you would. But you should. 6. Cultus Lake Waterpark and Slides. Cultus Lake, BC. In British Columbia’s Fraser Valley, about 80 km (50 miles) east of Vancouver, the weather dries out and the lakes warm up. So Cultus Lake Waterpark is a fine place to spend the day. Tweens can tear down the maze-like Blasters and Twisters, while the more hesitant (like me!) can enjoy the milder Kiddie Slides. The unusual “Valley of Fear” slide is set up like a skater’s half-pipe; families can slip along in double or triple tubes. Bonus feature: You can bring in your own food. 7. Riverfront Park. Spokane, Washington. I lived in the Pacific Northwest for decades, ignorant to this unique – and diverse — park. In Spokane, the 100-acre Riverfront Park offers: a SkyRide past waterfalls, tour train, wide grassy areas for picnics and running, mini golf, a garbage-eating metallic goat, a ginormous red wagon, a pavilion of amusement rides, an IMAX theatre and water bumper boats. Whew. I’m tired from just listing the options. Worth a weekend’s exploration. 8. Dinotown. Bridal Falls, BC. Yes, it’s a theme park based on dinosaurs. Three hours from Seattle and a 1 ½ hours from Vancouver, this park is basically like an outdoor Chuck-E-Cheese, but with a sorta-dino-themed train, a musical tribute to the Flintstones, dinosaur mascots, bumper cars and other quasi-dino choices. Not a must-see unless your kid really, really, really loves pink dinosaurs. Update 7/25 CLOSED. 9. Slidewaters. Lake Chelan, Washington. It’s almost always dependably sunny and hot on Washington’s eastside – so there will never be an excuse for skipping the eight slides. At Slidewaters, the new “Purle Haze” ride slips you through 420 feet of disorienting darkness. As a parent, you’ll probably prefer the hot tub and cool pool. Wear sunscreen, because the sun’s rays are a bit sneaky — I think I still have scars from my Chelan burns. *Full disclosure: My husband works for The Mouse. Did I miss an awesome waterpark, theme park or fabulous fun center? Let me know.